The new “Ten Virtues” have been a controversial set of new Buddhist virtues that whole villages and towns in Tibet, influenced by their local lamas, are committing to. As far back as 2012, Tibetan blogger and writer Jamyang Kyi wrote a critique of these “Ten Virtues” from a female perspective in a blogpost that was posted in English on High Peaks Pure Earth. 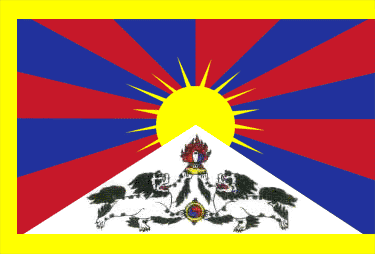 In recent years, groups of monks have started propagating and engaging in an aggressive campaign under the banner of the so-called “Ten Virtues”, induced by a sentiment of prejudice and intolerance, and with total ignorance and indifference to the existential and socio-economic consequences of their campaign to the lives of the Tibetan people. Seeing the unreasonable and aggressive nature of the campaign that collects signature pledges and thus recruits people in their movement through various means, I am compelled to resist and respond to them with careful attention and consideration to the time and social evolution of the movement in our context. Historically, the Ten Virtues Law was in existence even prior to the actual transmission of Buddhism in Tibet during the reign of the emperor Songtsen Gampo, and it was primarily observed as a secular code of conduct and served as principles of secular moral education. During those times, there was no such aggressive collection of signature pledges, nor were severe punishments given to those who failed to adhere to the code of conduct. Against the wish and will of the people, no such dictated and forceful collection of signature pledge ever took place until this day. Those who are engaged in and are reinforcing this campaign do not seem to be concerned or are entirely motivated by an ultimate intent of fostering and furthering secular moral education. On the contrary, this campaign is carried out in an aggressive and dictatorial manner, employing the threat of communal isolation and fear, by enforcing to participate and take up the signature pledges. The threats involve the possibility of cutting out all relationships with local monasteries including the performance of funeral rites and rituals to those families who reject or just refrain from accepting the signature pledge. Through such unreasonable and outrageous measures, they are enforcing the campaign into a mass movement of some kind. The so-called “Ten Virtues” of the campaign includes injunctions like abstaining from acts of theft and robbery or renunciation of the disgraceful mores of an eye for an eye (and tooth for a tooth) kind of vengeance in family feuds that is still prevalent in certain parts of Kham. These injunctions are apparently constructive and are of great service to us today and the time ahead. However, about two thirds of the Tibetan population on the plateau are nomads and the aggressive campaign of prohibiting them from killing their animals for their own consumption (yaks and sheep) has driven their lives into disarray and destitution. As ironic as it is, the imposition of these “laws” have indirectly constrained and compelled the Tibetan nomads to buy meat from Chinese and Muslim butchers at exorbitant prices, and the chemicals used as preservatives often contaminate the meat they buy from market. As a result, besides the apparent economic deprivation and disadvantage, it has exacerbated and endangered the condition of public health and welfare in the nomadic communities. Generally speaking, it is certainly constructive and worthwhile of a movement that educates and directs people towards the path of vegetarianism and non-violence. However, from a practical standpoint, one must remember that due to the lack of vegetables and fruits on the Tibetan plateau, Tibetan nomads are condemned to an existential predicament if they are prohibited from killing their animals for meat or if economic or other circumstances forbid them from eating meat. Even if some nomads commit to abstaining from killing their own animals, many of them continue to eat meat, as it is the main source of nutrition, and for their lifestyle has acclimatised to the climatic conditions of the plateau. These poor Tibetan nomads have lost their capability to produce meat for their own consumption; instead, they now turn to the market to buy meat at high prices. Isn’t this awfully deplorable? Furthermore, by performing the rites and rituals of setting many yaks, goats and sheep prohibited from being sterilised and protected from being dispatched to slaughterhouses or killed by the owners themselves (Tibetan: tse-thar), this practice has become prevalent and it is not paying enough attention and examination to the fragile ecological conditions of the plateau. As many scientists contend, our rangelands are threatened by desertification due to overgrazing and other factors. More importantly, as we all know and have seen the change our own lives, the Tibetan plateau faces an increasingly warmer climatic condition every year while it experiences scanty precipitation. Our glaciers in the snow-mountains are retreating leaving behind large stretches of dry lands, while the greenery of our rangelands and forests are disappearing giving birth to a terror of desertification before our own eyes. I understand that the sterilisation of yaks and sheep as a solution would not be plausible and commendable if it is not managed in an ecologically balanced and stable manner. Without taking into account of the natural ecological equilibrium and the nature of growth of flora and fauna on the Tibetan plateau, these acts of “compassion” without wisdom are detrimental and could be aiding to the ultimate decline and degradation of Tibet. The most critical and crying need in our nomadic communities is a movement of secular education –one that is directed towards addressing the most regressive aspect of life in these communities –imparting the ideals of gender equality and women empowerment. There are many women with children of unknown or unclaimed fathers, which is a persistent ground for the miserable life of women and gender inequality in these communities. Hence, it is invaluably important to promote and strive towards providing access to education and other opportunities for the children in these remote communities. Providing basic education and increasing literacy seems to be the beginning of a strategy in addressing many challenges these communities undergo everyday. In addition to their indigenous knowledge, nomads must also be educated and informed about scientific views and methods on the conservation of ecology. It is disheartening to witness this misguided and imperious campaign unfolding with utter ignorance to the ecological health in these communities. I suspect that there are people who eat meat yet so vehemently involved in and even spearhead this campaign of oppression without any ponderance or perusal for the state of their own livelihoods and of others. That is simply foolish and farcical. Considering realistically the roles and conditions of the nomads in the context of the larger society of this economy, and putting yourselves in the shoes of those lay families with many children to bring up, would you still be crusading for this campaign? In every matter of judgment, the ability to put oneself in the situation and station of the subject being studied and scrutinized is always a powerful and perceptive method to understand it. For this reason, it is important to check yourselves of those prejudicial and intolerant attitudes that primarily inform and instigate this campaign. Monks should also think twice about their own economic situation before engaging in any social movement with such hype and haste. As needless to say, the life and livelihood of monks and lay people are very different. The level and intensity of religious education and practice are also incomparable between these two distinct social groups. The former leads a life of renunciation and relinquishment of material pursuits and depends on the generosity of laypersons for his basic needs. The latter pursues the life of family and fortune employing all his wit and vigour to facilitate and contribute to his family and community. Similarly, we must understand that the way of life of Tibetan farmers and nomads is also very different. 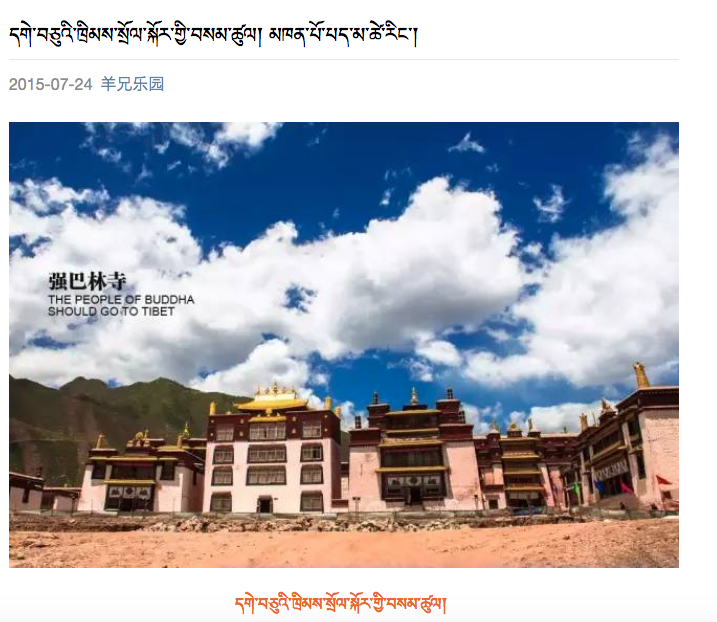 I remember Jamyang Kyi article too; http://highpeakspureearth.com/2014/the-impact-of-the-so-called-ten-virtues-by-jamyang-kyi/ On Tibet web digest, which seems to be closed.